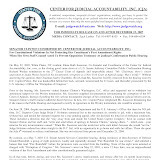 PHILADELPHIA, PA - A federal grand jury has handed down a superseding indictment against former Luzerne County Common Pleas Judge Mark A. Ciavarella Jr. in response to a U.S. Supreme Court ruling on the constitutionality of the federal honest services fraud statute, according to the U.S. Attorney's Office for the Middle District of Pennsylvania. U.S. Attorney for the Middle District of Pennsylvania Peter J. Smith said the indictment contains 39 counts of criminal charges against Ciavarella. That means the number of charges against the former Luzerne County judge has been reduced from 48 to 39. The superseding indictment was the latest twist in a story that has seen several since mid-2009, including Conahan pleading guilty in relation to the case. In July 2009, U.S. District Judge Edwin M. Kosik threw out the initial plea agreements reached between Conahan, Ciavarella and federal prosecutors, in part because of the judges' conduct following the plea agreements and their refusal to accept responsibility for the crimes they had committed. Ciavarella's public comments were self-serving, Kosik said, and Conahan was being obstructionist. Conahan and Ciavarella made a joint filing Aug. 20, 2009, petitioning Kosik to reinstate their agreed upon sentence of 87 months each in prison because neither could be found at fault for his post-plea hearing actions. Kosik rejected that Aug. 24. That same day, the former judges withdrew their guilty pleas and formally entered pleas of not guilty to the charges. In his Aug. 24 order, Kosik said in light of the presentence report and sentencing recommendation from the probation office, it was within his discretion to throw out the plea agreements. The probation officer's "assessment and justification for the recommendation" was partly the basis for Kosik's earlier conclusions that Conahan was obstructing justice, failing to discuss the motivation behind his conduct and failing to accept responsibility for his crimes, he said. "The probation recommendation characterized these failures by Conahan as based on his 'scandalous conduct,'" Kosik wrote in his Aug. 24 order. "The defense claims that a defendant is not required to admit relevant conduct beyond the offense of conviction. The court generally agrees, but the defendant was expected to admit relevant conduct related to the scandalous nature of the offense of conviction." In a telling footnote, Kosik said he had met with Conahan's and Ciavarella's lawyers twice and rejected reconsidering the plea agreements both times. He said federal prosecutors as well as the defense attorneys had urged him to reconsider the plea deals. Both sides offered to meet with him separately "to explain each side's reasons for entering into the plea agreement," Kosik said. "The offer was rejected by the court because such a meeting might impermissibly involve the court in plea bargaining," he said. Later in the body of his opinion, Kosik said: "It ill behooves both parties to want the court to consider additional reasons to be conveyed in private." A new 48-count indictment was filed by the federal government in September 2009 and the judges entered joint "not guilty" pleas. They followed that up by filing a series of pretrial motions together, charging federal officials with "outrageous government misconduct," questioning the impartiality of the judge assigned to their case and requesting a change in venue in March 2010. Conahan, however, took a surprise turn by leaving Ciavarella behind and reaching a plea agreement with prosecutors. In doing so, he admitted to accepting, along with Ciavarella, more that $2.8 million from the builder and former co-owner of a private juvenile detention facility. Conahan's plea agreement limits his exposure to one racketeering conspiracy charge, a crime that carries a maximum penalty of 20 years in prison and a fine of up to $250,000. 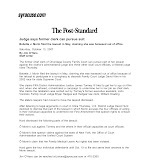 Absent from the 21-page agreement is any minimum sentencing requirement or sentencing recommendation from prosecutors. Instead, the agreement outlines that any penalty is to be "determined by the court." NY Lawyer Wins Appeal of Sanctions, Blasts "Insane Judge"
A judge's finding that an attorney in a wrongful-death action intentionally slipped his summation notes to the jury by including them within medical records did not constitute grounds for throwing out a $1.1 million settlement agreement that was reached as the jury deliberated, a state appeals court has ruled. A unanimous Appellate Division, Second Department, panel found that stipulations of settlement should be "not lightly set aside" and that defendant North Shore University Hospital failed to establish sufficient cause—such as fraud or mistake—to do so here. "The record does not establish that the defendants entered into the stipulation because they were aware that the plaintiff's attorney's typewritten summation notes had been made available to the jury," the panel held in its unsigned decision, Singh v. North Shore University Hospital, 2009-10708. The panel also threw out fines and sanctions levied by the trial judge, Queens Supreme Court Justice Peter J. O'Donoghue, against the plaintiff's attorney, Andrew Rosner, totalling more than $60,000. 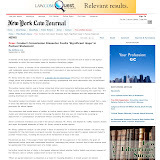 Mr. Rosner, the principal of a three-attorney firm in Garden City, filed the underlying wrongful-death action in 2006 on behalf of the family of Dolly Singh, a 53-year-old mother who died of myocarditis—inflammation of the heart muscle—at Long Island's North Shore University Hospital. A jury trial was held before Justice O'Donoghue in July 2009, at which Mr. Rosner argued that Ms. Singh's death could have been prevented had the hospital performed an echocardiogram. After the case went to the jury, but before it reached a decision, the two sides agreed to a $1.1 million settlement. As the attorneys later collected the exhibits that had been marked into evidence, a court officer noticed that Mr. Rosner's typewritten summation notes, which had not been admitted into evidence, were inside a hospital chart that had been reviewed by the jury. Citing those notes, the hospital moved to set aside the agreement on the grounds of mistake or fraud. Justice O'Donoghue granted that motion and ordered a new trial, finding that Mr. Rosner "intentionally included" his notes with the medical records. The judge also, sua sponte, sanctioned Mr. Rosner $10,000, ordered him to pay the defense's trial costs, which totalled more than $52,175, and referred the matter to the Grievance Committee for the Eleventh Judicial District. Mr. Rosner appealed, vehemently denying that he intentionally passed his notes to the jury. "I have said before, and I now say again, I did not intentionally submit my summation notes to the jury," Mr. Rosner wrote in an appellate brief. "I have no personal knowledge whether my notes were actually received by the jury, and if they were, how. The only plausible explanation is that in gathering up the evidence after my summation, the Court Officer mixed up my notes with it, and did not check the evidence before he gave it to the jury. That is not fraud." Mr. Rosner also contended that accidentally passing the notes was not the type of mistake that invalidates a settlement. In its decision last week, the appeals court sided with Mr. Rosner and reinstated the agreement.The panel remitted the matter to a new Queens Supreme Court justice to determine whether Mr. Rosner should be sanctioned. "Here, the defendants failed to establish a basis for the vacatur of the stipulation of settlement," the panel concluded. "Regarding the imposition of a sanction in the sum of $10,000 upon the plaintiff's attorney, the defendants did not request that relief. Furthermore, the plaintiff's attorney, who was never notified that the Supreme Court was considering granting that relief, was not afforded a reasonable opportunity to be heard on the issue of sanctions. Accordingly, the sanction must be vacated. 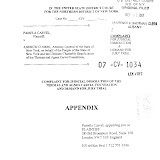 However, since, on this record, we cannot conclude that a sanction is unwarranted, we remit the matter to the Supreme Court, Queens County, for a hearing on that issue." Justices Mark C. Dillon, Joseph Covello, Daniel D. Angiolillo and Sandra L. Sgroi sat on the panel. Mr. Rosner called Justice O'Donoghue's decision "insane" and "irrational." He said the judge, who is blind, "thinks he has the same superhero abilities" as the blind superhero Daredevil. "I don't think we should have a blind judge who is drunk with power and doesn't have the abilities he thinks he does," Mr. Rosner said. "The irrational statements he has made and the irrational conclusions he made in this case are very strong indications that he should not be on the bench." Mr. Rosner said he intended to pursue a complaint with the Commission on Judicial Conduct. The Office of Court Administration declined to respond to Mr. Rosner's comments. Justice O'Donoghue was elected to the Civil Court in 1992 and the Queens Supreme Court in 2002. Christopher Simone and Robert M. Ortiz of Shaub, Ahmuty, Citrin & Spratt in Lake Success appeared on behalf of North Shore University Hospital. Mr. Ortiz declined to comment; Mr. Simone did not return a call for comment. Mark Fass can be reached at mfass@alm.com. Summary of Articles of Impeachment from the House Judiciary Committee that were voted on Thursday by the U.S. House of Representatives. This Article focuses on Judge Porteous's misconduct in relation to presiding over the case In re: Liljeberg Enterprises, Inc. 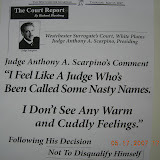 The record reflects that Judge Porteous was engaged in a corrupt kickback scheme with the law firm of Amato & Creely, that he failed to disclose his relationship with the firm, and that he denied a motion to recuse himself from the case despite the firm=s representation of one of the parties. The kickback scheme involved appointing Mr. Creely as a curator in hundreds of cases, with fees amounting to approximately $40,000 paid to the Amato & Creely firm, approximately half of which was paid back to Judge Porteous. Judge Porteous made intentionally misleading statements at the recusal hearing intended to minimize the extent of this personal relationship with the firm. The record also reflects that Judge Porteous engaged in corrupt conduct after the bench trial and while the case was under advisement, by soliciting and accepting things of value from attorneys at the firm, including $2,000 in cash. 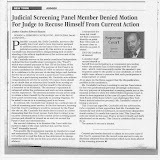 The Article finds that by virtue of this corrupt relationship and his conduct as a Federal judge, Judge Porteous brought his court into scandal and disrepute, prejudiced public respect for, and confidence in, the Federal judiciary, and demonstrated that he is unfit for office. 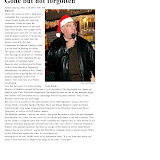 This Article focuses on Judge Porteous's corrupt relationship with bail bondsman Louis Marcotte and his sister Lori. The record reflects that as part of this corrupt relationship, Judge Porteous solicited and accepted numerous things of value, including meals, trips, home and car repairs, for his personal use and benefit while at the same time taking official actions on behalf of the Marcottes. This included setting, reducing, and splitting bonds for the Marcottes while on the State bench, and improperly setting aside or expunging felony convictions for two Marcotte employees. Judge Porteous also used the power and prestige of his office to assist the Marcottes in forming relationships with State judicial officers and others. Judge Porteous also knew and understood that Louis Marcotte made false statements to the FBI in an effort to assist his appointment to the Federal bench. The Article finds that Judge Porteous has engaged in conduct so utterly lacking in honesty and integrity that he is guilty of high crimes and misdemeanors, is unfit to hold the office of Federal judge, and should be removed from office. This Article focuses on Judge Porteous's repeated false and misleading statements, including the concealment of debts, under oath and in disregard of a bankruptcy court's orders. The record reflects that as a Federal judge he knowingly and intentionally made material false statements and representations under penalty of perjury and repeatedly violated a court order in his case. This included using a false name and post office box to conceal his identity as a debtor in the case; concealing assets, preferential payments to certain creditors, and gambling losses and debts; and incurring new debts while the case was pending in violation of the court=s order. The Article finds that Judge Porteous's conduct brought his court into scandal and disrepute, prejudiced public respect for and confidence in the Federal judiciary, and demonstrated that he is unfit for the office of Federal judge. This Article focuses on Judge Porteous's misconduct in relation to his nomination and Senate confirmation to be a Federal judge. 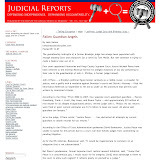 The record reflects that Judge Porteous knowingly made material false statements about his past to both the U.S. Senate and to the FBI in connection with his nomination to the Federal bench in order to conceal corrupt relationships. In addition, Judge Porteous knew that another individual made false statements to the FBI in an effort to assist his appointment to the Federal bench. The Article finds that Judge Porteous's failure to disclose these corrupt relationships deprived the U.S. Senate and the public of information that would have had a material impact on his confirmation. Now that the Senate impeachment trial for New Orleans federal Judge Thomas Porteous is over, the panel's chair is predicting a vote by the full Senate later this year, probably sometime after Thanksgiving. Sen. Claire McCaskill, D-Mo., who presided over five days of hearings, with 14 witnesses by the House impeachment managers and 13 by Porteous' attorney, said the process was fair and "will stand the test of time." The hearing ended late Tuesday with three senators indicating that they don't buy one key defense argument; that it would be a bad precedent to remove Porteous on grounds he didn't answer truthfully when he said during his 1994 confirmation process he knew of no past conduct that would bring him, or President Bill Clinton, who nominated him, embarrassment. It's one of the grounds cited in four articles of impeachment approved by the House recommending the Senate remove Porteous, 63, from office. A defense witness, Colby College professor Calvin Mackenzie, an expert on federal appointments, testified it would set a bad precedent to remove a judge for answers to such a vague and subjective question. Mackenzie said he knows of no nominee who ever answered the embarrassment question yes, and yet no one has ever officially been sanctioned -- let alone faced removal from office -- for a no response. But McCaskill, the Senate chair, said it would also set a bad precedent if the Senate ignored the "no" response -- if senators are convinced the most serious allegations in the House impeachment articles have been proved. She and others specifically mentioned the charge that Porteous, while a Jefferson Parish judge, took "kickbacks," portions of fees paid to two Jefferson Parish lawyers he assigned to curatorships. Porteous' lawyers dispute the charge. Rep. Adam Schiff, D-Calif., in questioning Mackenzie, said it is more important that Congress set a high standard for any incorrect preconfirmation statements by a federal judicial nominee because, once confirmed, the nominee gets a lifetime appointment. Other presidential appointees, he noted, can be fired. "The most significant sanction (short of impeachment) against Judge Porteous ... is that he has to take his full salary and he's not allowed to work," Schiff said. Porteous continues to receive his $174,000 salary, but has not been allowed to hear cases since U.S. Judicial Conference submitted allegations to Congress for possible impeachment of Porteous more than two years ago. The 12-member Senate Impeachment Trial Committee, evenly divided between Democrats and Republicans, is charged with submitting to the full Senate an "impartial" report on the testimony and evidence presented during the trial. If two-thirds of the senators voting approve one or more of the four articles of impeachment approved unanimously last March by the House, Porteous would become the eighth judge removed from office and lose his federal pension. Sen. Claire McCaskill of Missouri and Sen. Orrin Hatch of Utah preside over the hearing of the Senate Impeachment Trial Committee on Sept. 13. The Porteous defense team zeroed in on one issue that has drawn significant comment by members of the Senate panel; claiming his attorney suggested filing the judge's 2001 bankruptcy under the name G.T. Ortous to avoid embarrassment to the judge and his family. The filing was quickly amended to list the correct name. Former Illinois Bankruptcy Court Judge Ronald Barliant testified that as a bankruptcy judge he would not have pursued fraud allegations against Porteous because he acted on the suggestion of his lawyer, and substituted the correct name before any notice went out to creditors -- meaning no effort to "impair the system" Barliant said. But he added, "I'm not saying I condone what he did." Also testifying Tuesday was former Jefferson Parish District Attorney John Mamoulides who said that Porteous, as a Jefferson Parish judge, had a good reputation with his prosecutors. "They (assistant district attorneys) had no complaints about the judge," said Mamoulides, who was district attorney from 1972 to 1996. "The judge ran a good office from the standpoint of a trial." 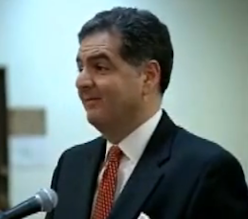 Under questioning by Porteous attorney Jonathan Turley, Mamoulides said the Jefferson Parish system was under a court decree to ease jail overcrowding when Porteous served. Often bail rulings were used, he said, to relieve overcrowding and still ensure that defendants would show up at their trials. Porteous, who served as a judge in Jefferson Parish between 1984 and 1994 before his appointment to the federal bench, is accused by the House of issuing bail rulings that benefited Bail Bonds Unlimited, whose executives testified that they provided Porteous with gifts, including trips, free meals, car repairs, bottles of Absolut vodka and buckets of shrimp. Under questioning from Schiff, the lead House impeachment manager, Mamoulides said when he first joined the district attorney's office as a deputy in the 1960s, he was surprised that he and his counterparts could set bail. He said he also received an $80 gift certificate shortly after taking office "for something or another," from a bail bond firm and wouldn't accept it because he considered it improper. Schiff asked several times whether he had a problem with judges taking gifts from lawyers or a bail bond company. "The judges didn't work for me; I was responsible for the assistant district attorneys," said Mamoulides, adding it wasn't illegal for judges to take gifts. Rep. Adam Schiff, D-Calif, was leader of the five-member House team serving as prosecutors for the trial of U.S. District Judge Thomas Porteous. But after Schiff told him that Bail Bonds Unlimited executives had also taken Porteous to Las Vegas and that the judge had expunged criminal convictions for two Bail Bonds Unlimited employees, Mamoulides said: "I would think it would be improper from an ethics standpoint." Another defense witness, Marrero attorney Robert Rees, said that the process in which Porteous expunged a burglary conviction for Aubrey Wallace, a former Bail Bonds Unlimited employee, was done legally and in a transparent way. He said Porteous personally checked with the Jefferson Parish district attorney's office to make sure prosecutors didn't object. Schiff said it should have raised suspicions that Porteous moved to expunge Wallace's burglary conviction, at the request of Louis Marcotte, who ran Bail Bonds Unlimited, only after he had already won Senate confirmation. Porteous did not take the stand in his defense. Turley said the defense decided Porteous' testimony wasn't needed. Turley has argued that removing Porteous from office would set a dangerous precedent because none of the allegations ever resulted in a criminal trial, like almost all other impeachment proceedings of judges. He also noted that most of the allegations involve activity when Porteous was a state judge, before his federal appointment. His defense team has faced an uphill fight, given that Porteous couldn't muster even one vote in the House of Representatives against any of the four impeachment articles. And some senators expressed frustration with some of the testimony by Porteous' witnesses, including Mackenzie's on the appointment process. "I've sat here patiently through this lengthy testimony of yours, to be honest with you, I don't think I'm any smarter than before," Sen. James Risch, R-Idaho, told Mackenzie Tuesday. Bruce Alpert can be reached at balpert@timespicayune.com or 202.383.7861. The Senate impeachment trial of a federal judge is over, but he'll have to wait until after the midterm elections to learn his fate. Judge G. Thomas Porteous Jr. of New Orleans was impeached by the House in March and a committee of 12 senators spent most of the last 10 days hearing 30 hours of testimony from 27 witnesses regarding the four articles of impeachment. The proceedings included tales of a Las Vegas bachelor party, buckets of shrimp and other highlights of the often-sordid state of Louisiana politics. (Colleague Ann Gerhart brilliantly captured the scene last week.) The Senate Impeachment Trial Committee, chaired by Claire McCaskill (D-Mo. ), plans to submit a full report on the proceedings to the full Senate by mid-November. Aides stress that the report will not recommend how the full Senate should vote, but will instead summarize the testimony and evidence for each senator to review. Once the Senate is ready to debate and vote on the case, Porteous's lawyers and members of the House of Representatives will make their closing arguments on the Senate floor. A conviction on just one of the articles is enough to remove Porteous from office. In his long career as a prosecutor and state and federal judge, the Honorable Gabriel Thomas Porteous of New Orleans has tried and presided over hundreds of cases involving malfeasance and misdeeds. This week, in a chilly Senate hearing room, he is the defendant, accused of decades of corruption, in an impeachment trial that could result in him being kicked off the federal bench. The trial is an extraordinary spectacle, featuring allegations that lawyers and bail bondsmen plied the judge, a reformed drinker and gambler, with gifts to gain his courtroom favor. Cash in envelopes. Bottles of Absolut and coolers of shrimp. A Vegas bachelor party for Porteous's son, complete with lap dance. It showcases both the often-sordid politics of Louisiana and a struggle over constitutional precedents. But while this is the first Senate impeachment trial since President Bill Clinton's in 1999, and the first for a member of the judiciary since 1989, the historic procedure is underway largely outside the zone of the public's attention. Amid the tumult of the midterm campaigns, Washington's attention has been occupied elsewhere. The same room, No. 216 in the Hart Senate Office Building, was packed two months ago for the confirmation hearings of Supreme Court justice Elena Kagan. Now it sits mostly empty of press and spectators. The place is full, however, with prosecutorial heft, rare bipartisan teamwork and top-drawer defense lawyers who have increasingly been trying the patience of Sen. Claire McGaskill (D-M0. ), a former city and county prosecutor who is chairing the 12-member Senate Impeachment Trial Committee. The panel will make recommendations to the full Senate, which is expected to vote on impeachment sometime after the November elections. A team of six House impeachment managers, headed by Rep. Adam Schiff (D-Calif.), a former U.S. attorney who tried public corruption cases, is prosecuting the four articles of impeachment, which also include charges that Porteous lied on his 2001 bankruptcy petition and to FBI agents who were conducting background checks after he was nominated to the 5th Circuit Court. Porteous's defense lawyers, led by Georgetown University professor Jonathan Turley, say the charges are overblown and do not rise to the "high crimes" described in the U.S. Constitution. He urged senators to consider carefully before making Porteous the only judge in U.S. history to be forced off the bench through impeachment without having been charged with a crime. "The secret is out, Judge Porteous gambled, he probably gambled too much," Turley said in his opening statements Monday, "but that's not illegal." Schiff countered that the House voted unanimously in March that Porteous's conduct was "so violative of the public trust that he cannot be allowed to remain on the bench without making a mockery of the court system." Porteous, 63, a large, balding man with thick gold rings on each hand, is suspended from the bench but still collecting his salary. He has sat impassively at the defense table, sometimes making a note or two on a legal pad, as a string of colorful characters have spilled the alleged tale of his dishonor and human failings. His Metairie home was destroyed in Hurricane Katrina. Four months later, his wife, Carmella, died of a heart attack, his son testified Wednesday. "After that, he became very isolated, he stayed at home, he was depressed," said Timothy Porteous, also a lawyer. Mutterings about the ethics of Porteous, a state judge for ten years and former prosecutor, began almost as soon as he landed on it in 1994. He was suspected of being way too cozy with Louis and Lori Marcotte, a pair of siblings who had monopolized the lucrative bail-bond business on the West Bank, and he was one of the local judges investigated in Operation Wrinkled Robe, a wide-ranging FBI investigation into corruption at the Jefferson Parish courthouse. Two of his fellow state judges went off to jail for mooching off the Marcottes, and a third was taken off the bench by the state Supreme Court. Marcotte took the judge to Las Vegas and treated him to expensive lunches, he testified this week, and his employees fixed Porteous's fence and his cars, often returning them from the detailing shop with the vodka or shrimp left inside as a special goody bag. Lawyers slipped Porteous cash, prosecutors charge, to influence their cases before his bench. The defense says those lawyers were longtime friends just trying to help out a man they knew had fallen on tough times because of gambling debts. The judge's longtime secretary, Rhonda Danos, testified that she picked up an envelope in 1999 from Jacob Amato, a lawyer the judge's son said he called "Uncle Jake," who had a case pending with the judge. When Danos asked Amato's secretary what was in the envelope, "she just rolled her eyes," Danos said. "I said, 'Never mind, I don't want to know.' " Prosecutors said the envelope was stuffed with $2,000 or so in cash. Danos also paid the judge's gambling markers at casinos, she testified, after he and his wife filed for bankruptcy in 2001, initially under false names. Prosecutors charge Porteous accumulated thousands of additional gambling debt after the filing and never disclosed it to the court. The impeachment trial's rules of evidence are unlike civil or criminal trials, and McGaskill often has leaned over to seek guidance from Sen. Orrin Hatch (R-Utah), the committee's vice-chairman and a longtime Judiciary Committee member. And the case is complicated, for all of the hours of narrative that would seem to place Porteous in the parade of infamous Louisiana public servants, from former Rep. William Jefferson (D-La.) with his cash in the freezer all the way back to Huey P. Long. The FBI and the Justice Department conducted a lengthy criminal investigation of corruption and declined to press charges against Porteous more than three years ago. And Porteous has said he will retire in a few months, but if the Senate voted to impeach, he would lose his substantial federal pension. "The House has pursued impeachment despite the fact that Judge Porteous will retire in a matter of months and has already been severely sanctioned by the Fifth Circuit (mainly a suspension from hearing cases) for the appearance of impropriety created by his actions," his lawyers said in their pretrial brief. "If removed on the basis of an appearance of impropriety, the Senate would set a dangerously low and ill-defined standard for future impeachments." Pursuant to the United States Constitution, the Senate holds "the sole Power to try all Impeachments." Impeachment trials in the Senate are rare; 15 impeachment trials have been completed over the 221-year history of the Senate, while three others terminated due to the resignation of the judges in question. 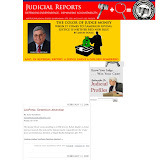 On March 11, 2010, the House of Representatives approved four articles of impeachment against Judge G. Thomas Porteous, Jr. of the U.S. District Court for the Eastern District of Louisiana. On March 17, 2010, the Senate organized for the impeachment trial of Judge Porteous. The Senate Impeachment Trial Committee is charged with receiving evidence and taking testimony on behalf of the entire Senate. The Committee must report "to the Senate in writing a certified copy of the transcript of the proceedings and testimony had and taken" by the Committee. In addition to a certified copy of the transcript of the proceedings and testimony, the Committee is authorized to report to the Senate a statement of facts that are uncontested and a summary, with appropriate references to the record, of evidence that the parties have introduced on contested issues of fact. Before: Prudenti, P.J., Mastro,Rivera, Skelos and Angiolillo, JJ. Robert A. Green, Hauppauge, N.Y. (Michael J. Kearse of counsel), for petitioner. 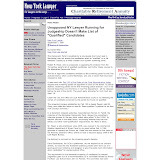 McDonough & McDonough, Westbury, N.Y. (Chris McDonough of counsel), for respondent. Disciplinary proceeding instituted by the Grievance Committee for the Tenth Judicial District. 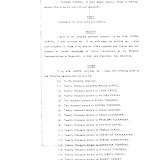 The respondent was admitted to the Bar at a term of the Appellate Division of the Supreme Court in the Second Judicial Department on September 7, 1977. 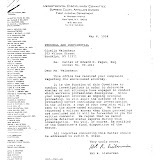 By decision and order on application dated May 15, 2009, the Grievance Committee was authorized to institute and prosecute a disciplinary proceeding against the respondent and the issues raised were referred to the Honorable Herbert A. Altman, as Special Referee to hear and report. 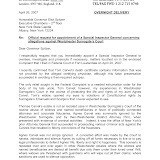 District (hereinafter the Grievance Committee) served the respondent with a petition dated February 26, 2009, which contains three charges of professional misconduct. After a preliminary conference on September 10, 2009, and a hearing on October 7, 2009, the Special Referee sustained all three charges. The Grievance Committee moves to confirm the findings of the Special Referee and to impose such discipline as the Court deems just and proper. The respondent's counsel has submitted an affirmation in opposition in which he asks the Court to confirm the report of the Special Referee with respect to charges one and two solely with respect to the respondent's contact with C.E. 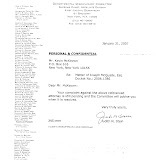 Johnson-Murphy after the respondent, who was then an Administrative Law Judge, wrote, edited, and signed his decision in a matter involving Johnson-Murphy, to disaffirm the report with respect to charge three, and to remit the matter to the Grievance Committee for the issuance of a Letter of Reprimand. 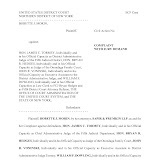 Charge one alleges that the respondent engaged in conduct that adversely reflects on his fitness as a lawyer by engaging in ex parte conversations with a litigant both before and after she appeared before him in his capacity as an Administrative Law Judge (hereinafter ALJ) in an administrative hearing, in violation of Code of Professional Responsibility DR 1-102(a)(7) (22 NYCRR 1200.3[a]). Between 1985 and March 2004, the respondent was employed as an ALJ for the New York State Department of Motor Vehicles (hereinafter DMV). He was assigned to the Traffic Violations Bureau in Garden City. The respondent was assigned as the ALJ to conduct a hearing involving allegations that Johnson-Murphy had been involved in an accident while driving an uninsured motor vehicle registered to her. The DMV hearing was scheduled for March 31, 2004. Prior to that date, the respondent had spoken with Johnson-Murphy over the telephone, granted her request for an adjournment, and learned that she was a New York City police officer. On March 31, 2004, at the DMV offices, the respondent had an ex parte conversation with Johnson-Murphy outside the hearing room prior to the start of the hearing. 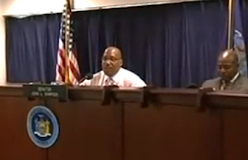 He then conducted the DMV hearing at which Johnson-Murphy, the operator of the other vehicle involved in the accident, and a New York State police officer testified. At the hearing, the respondent had before him a notarized letter dated July 10, 2003, from Johnson-Murphy to the DMV in which she denied knowledge of the accident and asserted that her car was inoperable and parked at her residence on the date of the accident. She also provided written documentation to the respondent that the vehicle was in storage at a repair shop on the date of the accident. After the hearing and before a written decision was provided to Johnson-Murphy, the respondent began placing telephone calls to her and either spoke with her personally or left voice-mail messages. The respondent acknowledged placing the calls, noting that Johnson-Murphy was "a person I would like to get to know better." During those calls, the respondent discussed the content of his decision with Johnson-Murphy. 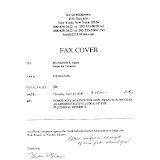 In a telephone conversation of April 20, 2004, the respondent discussed his decision with Johnson-Murphy and acknowledged having had previous discussions with her regarding the decision being on his desk. He acknowledged his attraction to her and indicated that he did not want to pressure her to feel that she owed him anything or might have to do something with him. During that conversation, the respondent made the following remark: "Frankly, I wasn't even sure that you were not guilty … but that's neither here nor there." In that same conversation, the respondent admitted having previously told Johnson-Murphy that he was not supposed to have contacted her. He then confirmed plans to meet her for dinner the following evening. 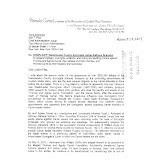 In a decision signed by the respondent on April 7, 2004, he found in favor of Johnson-Murphy and directed the DMV to remove the record of the accident from her driving record. 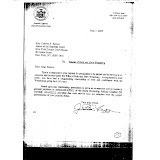 In an interview by investigators from the New York State Office of the Inspector General on July 22, 2004, the respondent falsely stated that he had had no contact with Johnson-Murphy outside the hearing. 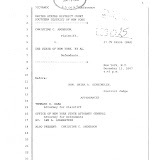 Charge two alleges that the respondent engaged in conduct prejudicial to the administration of justice by having ex parte conversations with a litigant both before and after she appeared before him in his capacity as an ALJ in an administrative hearing, in violation of Code of Professional Responsibility DR 1-102(a)(4) (22 NYCRR 1200.3[a]), based on the factual specifications of charge one. 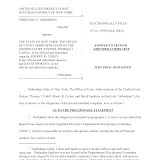 Charge three alleges that the respondent engaged in conduct involving dishonesty, fraud, deceit, or misrepresentation by having ex parte conversations with a litigant both before and after she appeared before him in his capacity as an ALJ in an administrative hearing, then later denying that he had any contact with her, in violation of Code of Professional Responsibility DR 1-102(a)(5) (22 NYCRR 1200.3[a]), based on the factual specifications of charges one and two. Based on the evidence adduced, the Special Referee properly sustained all three charges and the Grievance Committee's motion to confirm is granted. In determining an appropriate measure of discipline to impose, the Grievance Committee notes that the respondent has no prior disciplinary history. The respondent emphasizes that this was an aberrational act which did not affect his decision. He asks the Court to take note of his remorse for his poor judgment, the high price he has already paid for his indiscretion, his impressive pro bono work, and the unlikelihood of any repetition of such conduct. The respondent distinguishes this case from those in which an attorney has made unwanted sexual advances or tried to take advantage of a client in a vulnerable state. 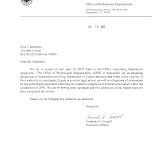 As set forth in the Inspector General's report, an exhibit in the disciplinary proceeding, the respondent not only acted improperly in pursuing a personal relationship with the subject of an administrative hearing over which he presided, but also engaged in a selective view of the evidence presented at the hearing, ignored prior warnings about ex parte communications from the DMV, and made false denials about his conduct to the Inspector General's office. The respondent's conduct clearly served to lessen public trust and confidence in the system and justly led to the termination of his employment with the DMV. Under the totality of circumstances, the respondent is suspended from the practice of law for a period of three years. Prudenti, P.J., Mastro, Rivera, Skelos and Angiolillo, JJ., concur. 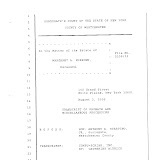 ORDERED that the petitioner's motion to confirm the Special Referee's report is granted; and it is further, ORDERED the respondent, Michael H. Dorsky, is suspended from the practice of law for a period of three years, commencing October 15, 2010, and continuing until further order of this Court, with leave to apply for reinstatement no sooner than six months prior to the expiration of the three-year period, upon furnishing satisfactory proof that during that period he: (1) refrained from practicing or attempting to practice law, (2) fully complied with this order and with the terms and provisions of the written rules governing the conduct of disbarred, suspended, and resigned attorneys (see 22 NYCRR 691.10), (3) complied with the applicable continuing legal education requirements of 22 NYCRR 691.11(c)(2), and (4) otherwise properly conducted himself; and it is further, ORDERED that pursuant to Judiciary Law §90, during the period of suspension and until the further order of this Court, the respondent, Michael H. Dorsky, shall desist and refrain from (1) practicing law in any form, either as principal or agent, clerk, or employee of another, (2) appearing as an attorney or counselor-at-law before any court, Judge, Justice, board, commission, or other public authority, (3) giving to another an opinion as to the law or its application or any advice in relation thereto, and (4) holding himself out in any way as an attorney and counselor-at-law; and it is further, ORDERED that if the respondent, Michael H. Dorsky, has been issued a secure pass by the Office of Court Administration, it shall be returned forthwith to the issuing agency and the respondent shall certify to the same in his affidavit of compliance pursuant to 22 NYCRR 691.10(f). A traffic-court judge used the Department of Motor Vehicles as his own personal dating service -- only to crash and burn. Michael Dorsky let a city cop slide on traffic charges after chatting her up before her hearing, and then went on to get together with her afterward, according to a federal appeals-court ruling. As a result, he is banned from practicing law for three years, a panel ruled last week. Dorsky, 60, "acted improperly in pursuing a personal relationship with the subject of an administrative hearing over which he presided," the panel said last week. Officer Catherine Johnson-Murphy, 50, was called before the DMV in 2004 for leaving the scene of an accident in Valley Stream, LI, but was let off. 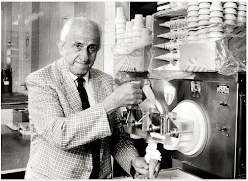 Dorsky, who is married with kids, declined comment. Dorsky admitted he made the phone calls and said that the cop was "a person I would like to get to know better." "......Forgery, particularly when committed by an attorney, has always been viewed by this Court as a serious matter..."
Before: Andrias, J.P., Catterson, Renwick, DeGrasse and Abdus-Salaam, JJ. Alan W. Friedberg, Chief Counsel, Departmental Disciplinary Committee, New York (Raymond Vallejo, of counsel), for petitioner. 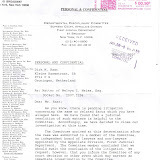 Respondent Mark S. Pomerantz was admitted to the practice of law in the State of New York by the Second Judicial Department on February 26, 1986, under the name Mark Steven Pomerantz. At all times relevant herein, he maintained an office for the practice of law within the First Judicial Department. Respondent was charged in a felony complaint with criminal possession of a forged instrument in the second and third degrees, a class D felony and a class A misdemeanor, respectively. On October 15, 2007, he pleaded guilty in Nassau County District Court to the reduced charge of attempted criminal possession of a forged instrument, in violation of Penal Law §110/170.20, a class B misdemeanor, in full satisfaction of the felony complaint. That same day, respondent was sentenced to a one-year conditional discharge, a $500 fine, a $140 surcharge and a $20 Crime Victim's Assistance fee. 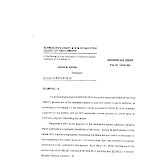 By unpublished order entered September 30, 2009, we deemed the offense of which respondent was convicted to be a "serious crime" pursuant to Judiciary Law §90(4)(d) and directed a Hearing Panel to conduct a hearing as to the appropriate sanction. The Hearing Panel held a hearing at which respondent, who appears pro se, testified. On March 21, 2007, respondent was stopped by the Nassau County police, who impounded his car due to various outstanding motor vehicle infractions. Upon inspection the police found that the vehicle bore a registration sticker which had been forged to reflect an incorrect expiration date. Respondent admitted to cutting out numbers from the registration sticker of his wife's car and affixing them to his own vehicle's registration sticker. Respondent also altered his car's registration sticker so as to make it reflect an inaccurate expiration date. Respondent knew his actions were illegal. When stopped by the police, respondent was aware that his car had been uninsured for a year and a half and was not currently registered or inspected. He had been driving the car with a forged registration sticker since February 2004, knew that he was driving with a suspended license, had failed to answer a traffic summons and had outstanding motor vehicle infractions and violations. Respondent testified that he no longer drives and instead commutes to his office by public transportation. He acknowledged that his conduct was wrong and proffered his wife's illness, marital turmoil and financial difficulties as the reasons for such conduct. In aggravation, the Hearing Panel considered respondent's failure to report his criminal conviction to the Committee as required by 22 NYCRR 603.12(f). 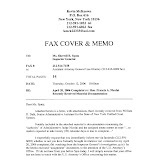 The Hearing Panel also considered respondent's failure to provide it with proof of the satisfaction of a $20,610 New York State tax judgment as well as documentation of payments towards other outstanding liens and judgments entered against respondent. These outstanding liens and judgments include a $47,687 federal tax lien and judgments in the amounts of $4,834 and $20,146. The Hearing Panel also considered respondent's failure to notify his law firm employer of his conviction as evidence that he has not accepted responsibility for his misconduct. On the other hand, the Hearing Panel considered respondent's expression of remorse, the fact that his misconduct did not affect his law practice or cause harm to the public and the absence of a prior disciplinary record as mitigating factors. The Hearing Panel recommended a suspension of six months, and the Committee seeks an order pursuant to 22 NYCRR 603.4(d) and 605.15(e)(2) confirming the findings of fact and conclusions of law of the Hearing Panel and imposing a six-month suspension. Respondent seeks imposition of a public censure. Forgery, particularly when committed by an attorney, has always been viewed by this Court as a serious matter (Matter of Glotzer, 191 AD2d 112, 114 ). The sanctions generally imposed for forgery offenses range from a short suspension to disbarment depending upon the repetitiveness of the misconduct and the desire for personal profit (id.). In Matter of Vasquez (1 AD3d 16 ), we imposed a six-month suspension upon an attorney who falsified a city official's memorandum to make it appear as if he had been granted a $5,500 salary increase and a lump sum back payment. In Matter of Donofrio (231 AD2d 365 ), the respondent made false statements to a Parking Violations Bureau manager and an administrative law judge (ALJ) and forged the ALJ's signature to a document which he fraudulently used to obtain a tow release of his vehicle. The sanction we imposed was a one-year suspension. As noted above, respondent practiced law within this Department at all relevant times. We are not persuaded by his argument that Second Department case law is controlling (see 22 NYCRR 603.1[a]). While there are mitigating factors such as the absence of profit or personal gain related to respondent's practice of law, the aggravating factors cited above cannot be ignored. Having considered all of the factors disclosed by the record we find that a suspension is warranted. Accordingly, we grant the Committee's motion to the extent of confirming the Hearing Panel's findings of fact and conclusions of law, and respondent is suspended from the practice of law for a period of three months. All concur. Order filed. About two years ago, New York lawyer Mark S. Pomerantz was stopped by police in New York, who impounded his car due to various outstanding motor vehicle infractions. Upon inspection the police found that the vehicle bore a registration sticker that had been forged to reflect an incorrect expiration date. The lawyer admitted to cutting out numbers from the registration sticker of his wife's car and affixing them to his own vehicle's registration sticker. He also altered his car's registration sticker so as to make it reflect an inaccurate expiration date. When stopped by the police, the lawyer was aware that his car had been uninsured for a year and a half and was not then registered or inspected. He had been driving the car with a forged registration sticker since February 2004, knew that he was driving with a suspended license, had failed to answer a traffic summons and had outstanding motor vehicle infractions and violations. Now, the lawyer has been suspended from practicing law for three months. Although it found some mitigating factors, the court declared that forgery, “particularly when committed by an attorney,” was a serious matter. The case is Matter of Pomerantz, M1621 (N.Y. App. Div. 1st Dep’t, Sept. 21, 2010). The impeachment trial of federal Judge Thomas Porteous, is a once in a lifetime chance for urgently-needed judicial reforms to happen in Louisiana. There is massive, inherent legal corruption in the judicial system, taking place in Louisiana, in what I call the "Devil's Den." This corruption has terrible consequences for citizens, and for the legal system itself. I am alarmed that, even after exposure of irrefutable facts and truths at Porteous' impeachment trial, scandalous behavior will continue because Porteous is not the only problem - just the most conspicuous culprit. The sustained Louisiana judicial decadence is now acutely displayed at this historical Congressional hearing, which the entire world can see for itself on C-Span. Facts, evidence, and testimonies therein solidify my convictions that the purpose of Louisiana courtrooms has very little to do with delivering justice. 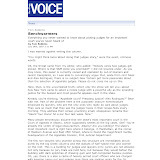 This OpEd is not to rant about what I believe. It underscores how the facts, evidence, and the testimonies presented at the impeachment proceedings exhibit the legal crisis here. Louisiana's judicial chasm must not continue in light of such concrete revelations. Precisely, that trial supplies prima facie proof that the courts of Louisiana serve the purpose of unfair enrichment, at the disadvantage of some people; and for certain politically-connected people, the courts serve as an avenue to 'the good life'. Additionally, anyone who hinders Louisiana 'good life' pursuits becomes subjected to the vilest treatment by jurists who disguise themselves as upholders and enforcers of laws. Judge Porteous' vices, which he committed almost 5 years ago, pale in comparison to this incessant Louisiana judicial horror. Because the conduct of certain people in Louisiana is as bad or worse than Porteous, there is urgent cause for alarm, and judicial reform is a dire need. As a matter of fact, corresponding with my beliefs about the court, the United States Fifth Circuit Chief Judge, Edith Jones, said "The American legal system has been corrupted almost beyond recognition," in a speech Judge Jones made in 2003, prior to Judge Porteous' wrongful conduct. Our Judicial system is a devil's den, that is a home to evil, corruption, wickedness, depravity, vexation, malignance, and decadence. In calling our judicial system a "devil's den,' I am saying that there is resident evil, corruption, wickedness, depravity, vexation, malignance, and decadence here. And 'evil' in the judicial arena has become camouflaged by something equally sinister, namely, 'confusion'; or in legal terms, 'obfuscation.' The matter is exacerbated by things like deliberate harm, viciousness, and deceptive - as well as disregard for responsibility for disastrous results. Further, obfuscation is often masterminded by rational people, but they subsequently become confused by the very confusion they manufacture. Here in our State, corruption is often in the mix, and corruption is easy to accomplish because of confusion or obfuscation. Corruption traps and ruins people and everything and everyone it encounters unless they break free. *Examples of how corruption lures people in the legal field are NOW SHOWING at the impeachment trial of Judge Thomas Porteous, on the nearest viewing screen. Sadly, as manifest from the testimonies the legal professionals are proud of how they operate. They are proud about things like status, one-upmanship, acclaim, and obtaining the highest personal gratification. Such things are part of the "Louisiana way." In fact, the impeachment committee was informed about this "way" in no uncertain terms. However, there was a time when professional conduct meant something to the legal profession. Lawyers, judges, and politicians had pride about having served justice instead of themselves and their cronies. Therefore, what makes this all so much worse, is that the self-dealing legal system is irreparably harming defenseless people. The devil's den in the form of depravity and corruption, is comfortable within New Orleans' infamous judicial and political corruption. Exchanges of quid pro quo deeds, hunting trips, judicial junkets, various 'gifts' to judges and their offspring, cronyism, and various other things which appear harmless, often became inroads to this degenerate legal community. To clarify, the witness statements and evidence presented at the trial unabashedly explained the routine of lawyers giving gifts and doing favors for Porteous. That routine is a component of the commonly known "Louisiana way." But even though this is a trial of Judge Porteous, it is not possible for any reasonable person to imagine that the "Louisiana way" of lawyers giving gifts and doing favors is confined to only one judge, namely Porteous. Moreover, a reasonable person would be bereft of intelligence to believe that the only judicial friend those lawyers have is Porteous. Further specifically, it is not likely that lawyers other than the ones who testified at Judge Porteous' trial, don't also have friends who are judges - and like Porteous, gifts and favors very plausibly influence judicial rulings. It is equally very likely, that gifts to other judges have had similar unlawful, improper outcomes as what occurred with Judge Porteous. For litigants who have unfairly been deprived of justice, the "Louisiana way" is utterly unacceptable. Another thing about the impeachment trial and revelations of perks to Judge Porteous, it is perplexing for us who know about ongoing judicial improprieties which have nothing to do with Porteous, to see him being impeached, yet other miscreants - including lawyers and corporations who paid Porteous bribes, are continuing their business-as-usual offenses. If gifts and favors are not causing judicial bias and unfair rulings, various unscrupulous legal tactics certainly cause unfair outcomes. Unscrupulous ways of litigating, as well as blatant unfair, contrary-to-law judicial rulings, are reasons why far too many people become deprived of justice. litigants fortunate enough to obtain lawyers encounter the misfortune of the judge prescribing to lawyers how the judges want the lawyers to manage the cases - including what motions the judges want filed!! The den, located in New Orleans, has eight courts: Louisiana's supreme court; 4th Circuit Appeal Court; Orleans Parish Civil District Court; Municipal Court; Criminal Court; the Eastern District Federal Court; Bankruptcy Court; and the Federal 5th Circuit Court of Appeals. The New Orleans Federal 5th Circuit Court of Appeals is the highest federal court - other than the United States Supreme Court. Its appellate authority encompasses Texas, Mississippi, and Louisiana. The Chief Justice for the 5th Circuit is Edith Jones. New Orleans' notoriety for corruption, as well as its location for so many courts, makes what occurs or does not occur in this legal system vitally significant to the entire Southern region of the United States. Corruption here must be vigorously tackled. The devil I have met! This is a mere sketch of what I experienced, as it pertains to horrors I know of, concerning federal court. In my follow up piece, I will provide more facts and details. To me, the federal court system is a devil's den because of racism, oppression, injustice, and persecution to which I was repeatedly subjected by more than one federal court judge in New Orleans. 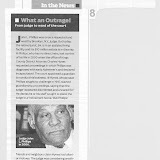 The backdrop for presenting what happened to me, is a repeat of what I stated: The courts of Louisiana serve purposes of unfair enrichment, at the disadvantage of certain people; and for certain politically-connected people, the court systems are for no other purpose than an avenue to 'the good life'. Whatever, or whoever hinders those 'good life' pursuits, becomes subjected to the vilest treatment by jurists who disguise themselves as upholders and enforcers of established laws. The fact of New Orleans federal court racism is hard to deny - particularly prior to Hurricane Katrina. It is basically unheard of for a Black person or minorities to receive justice at the New Orleans federal courts; it is even more unheard of for a Black attorney to initiate a civil case in federal court. Also, I am reasonably certain that roughly 90 percent of cases heard at the federal court did not originate from minority litigants; and if minorities are parties to such lawsuits, it is either through class actions, or because of being an "indispensable party" to a lawsuit. Further, it is an understood, common reality that Black attorneys practice their professions at "Tulane and Broad" and Orleans Parish "CDC;" and that federal court is 'for White people'. (In a follow up, I will supply more definite facts and information about these things, and much more.) The majority of people who received some measure of federal court justice, did so because of courtroom publicity. During my times of frequenting federal court, there was no such thing as a fair tribunal for me. Instead, there was the most egregious, blatant, repeated acts of malicious injustice - not only because of the color of my skin, but because I unwittingly interfered with white collar greed and political corruption. Further, the primary reason why the fact of federal court racial disparity is not so evident now, is because many pre-Katrina minorities have not returned to New Orleans. Additionally, the few African-American attorneys brave enough to attempt representing minorities after their cases arrived at federal court - often because of reasons beyond African Americans' control, lived to regret it. Further, from 500 Poydras Street, New Orleans, African-American attorneys can find themselves "suspended" - sometimes without logical explanation, sometimes without any explanation at all - from practicing at that aggrandized federal location - especially if the client's case has merit. I am recounting my virtual purgatory experiences prior to my being exiled from New Orleans due to Katrina and due to political corruption. And although I'm speaking from past judicial experiences, I do not believe things have changed, based upon my current sources. Even if some things have changed, past corruption must be addressed because many people have been harmed and the "long arm of the law" must extend to those within the judicial system. Furthermore, the existence of rampant political corruption makes improvement of Louisiana's judicial systems an impossibility. It is necessary to expose judicial corruption which cripples and causes some people to be a burden to society as well as themselves; necessary to expose judicial unfairness that demoralizes and bankrupts people; and shuts down businesses. Judicial abuses and degeneracy that is directly linked to alcoholism, broken families, violence, homelessness, and so much more - including issues relative to Thomas Porteous. Federal Chief Judge, Edith Jones and the judicial council must continue to clean up the judicial system after the Porteous hearing concludes. There can be no confidence in the judicial system while the corruption is known, but is not addressed. Again, Judge Jones' own words tell us there are major problems that need to be remedied. The rampant judicial wrongdoings must be brought to light, the perpetrators removed, a message sent that it will not be tolerated; and the victims of the corruption given the justice they were denied. The outcome, benefitting Louisiana's legal system, should be that all the evidence and facts about blatant judicial and lawyer improprieties be investigated, as well as lead to investigations of cases that received unlawful rulings because judges were influenced by bribes, "gifts" and "favors." A very easy area to discover rampant legal improprieties connected to Freddie Mac-related litigation in New Orleans federal civil and bankruptcy courts of which involved people other than Thomas Porteous. Unquestionably, the political and legal systems are intertwined. U. S. Senator David Vitter, involved in several high profile scandals involving impropriety and influence, has greatly influenced which judges make it to federal court benches. It will take a number of investigations for the truth to be revealed, so this proceeding against Porteous must not be the last. Senator Vitter has been named in media stories, after he apparently held up judicial and U.S. attorney appointments in Baton Rouge until his political choices were granted. Vitter was also behind the appointment of Federal Judge, Kurt Engelhardt. Engelhardt's dishonest and unfair use of his judicial position should cause him to be seated before Congress. I have personal experience of unlawful things that Engelhardt has done. The States of Louisiana, Mississippi, and Texas, all under the Federal 5th Circuit will benefit only if the judicial corruption is exposing and remedied. The corrupt judges are the root of many entrenched Louisiana problems, including the wrong message being sent to thugs on the street because the elite thugs in the legal profession flaunt their wrongdoings, but receive no meaningful punishment. Of major concern is the apparent compartmentalized manner of scrutinizing Porteous, but ignoring people whose actions also are clearly improper judicial conduct. I particularly refer to the matter of Bankruptcy Court and Attorney Claude Lightfoot, whose testimony of wrongdoing was heard by the Judge Porteous impeachment committee. 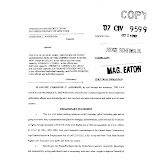 The deposition that Lightfoot gave years ago concerning Lightfooot's representation of Porteous and Porteous now-deceased wife when the couple filed bankruptcy should also be brought into the open. It is not clear whether the impeachment committee reviewed that deposition. In New Orleans there are TV and yellow page advertisements for filing bankruptcy. 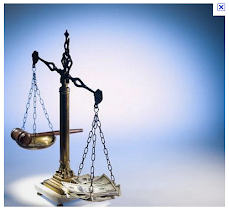 Attorney Lightfoot's ad for clients were concurrent with his being the Chapter 11 Bankruptcy Judge. Available information indicates he is currently referred to as a 'trustee'. Astonishingly, it was Lightfoot who instructed Porteous to falsely file the very bankruptcy case which is now among the reasons Porteous is being impeached. Lightfoot also is among the participants in shady activities carried out in bankruptcy courts at 500 Poydras Street in New Orleans. Lightfoot is still operating is his normal fashion, and he has never received any backlash for his various questionable methods of practicing law, nor for instructing Porteous to violate Bankruptcy Laws! Something is ethically wrong about the picture of a bankruptcy judge also luring bankruptcy clients, as Lightfoot has done for more than 10 years! The foregoing is an overview the Louisiana judicial devil's den where Judge Thomas Porteous was a federal judge. A followup series will depict more about the alarming practices and irreparable harm being done to the people of Louisiana. WASHINGTON, D.C. (AP) — Defense attorneys for a Louisiana judge facing an impeachment trial in Congress began trying to chip away at the case against him, arguing that money and other favors he accepted were simply part of the culture of a tight-knit New Orleans-area legal community. After three days laying out its case, the House team prosecuting U.S. District Judge G. Thomas Porteous rested Wednesday evening, leaving Porteous' attorneys to begin calling their own witnesses. Their first was Porteous' son, Timothy Porteous, who said two lawyers gave the judge thousands of dollars in cash over the years only because they were close family friends who once practiced law together. Another prosecution witness, Dane Ciolino, a Loyola University law professor specializing in judicial ethics, said that Louisiana standards for judges accepting meals and gifts from lawyers were loose and unclear until recent revisions to the law. Judges routinely dined on lawyers' tabs at expensive restaurants. "That's just the way things worked," Ciolino said. The House voted unanimously in March to bring impeachment charges against Porteous. A two-thirds vote is needed in the Senate to convict him. House prosecutors allege that Porteous was racking up debt as he struggled with drinking and gambling. They say he began accepting cash and other favors from people with business before his court, beginning with his time as a state judge and continuing after he was appointed to the federal bench in 1994. Two New Orleans-area attorneys who once worked with Porteous testified that they gave the judge thousands of dollars in cash gifts while he was a judge, including about $2,000 stuffed in an envelope in 1999, just before Porteous decided a major civil case in their client's favor. The attorneys also said Porteous frequently sent court-appointed work to their firm with the expectation that they would return some of the fees to the judge. 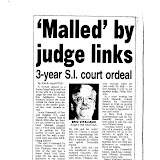 In addition, the lawyer Porteous hired for his 2001 bankruptcy discussed how he and Porteous initially filed the judge's bankruptcy under a made-up name, with a hastily arranged post office box as his address, to avoid publicity. House investigators say Porteous also lied about his debts and assets in an effort to lower his bankruptcy payments. New Orleans bail bondsman Louis Marcotte also described a long-standing relationship in which Marcotte routinely took Porteous to lavish meals at French Quarter restaurants and offered his employees to work on Porteous' cars and home. In return, Porteous manipulated bond amounts for defendants to give Marcotte the highest fees possible, said Marcotte, who served 18 months in prison on related corruption charges. Porteous also helped erase criminal convictions for two of Marcotte's employees, he said. The Senate trial is the first since the 1999 case against former President Bill Clinton. Porteous, who was appointed by Clinton, would be just the eighth judge to be impeached and convicted by Congress, and the first in more than 20 years. The Senate panel hearing the case, chaired by Sen. Claire McCaskill, D-Mo., planned to break until next week, with one or two more days of testimony expected. The committee will present the evidence to the full Senate later this year, with a final vote on Porteous' fate likely near the end of the year. Porteous' attorney, Jonathan Turley, told the committee in opening arguments that the judge's behavior, while perhaps reflecting poor judgment at times, doesn't meet the high crimes and misdemeanors standard set in the Constitution for impeachment. ALBANY, NY - Stuart M. Cohen, after 14 years of managing the day-to-day operations of the state's highest court as its clerk, has announced his retirement as of Nov. 24. "Nobody's indispensable, least of all me," Mr. Cohen said in an interview Friday at the Court of Appeals in Albany. "It's a challenging job and it's tiring, frankly. I am not going to kid you, I'm a little tired." Mr. Cohen, 57, who went to work at the Court 25 years ago, said that an early retirement program being offered to state court employees was a major factor in his decision to step down from the $136,500-a-year job. "Until this thing [the early retirement incentive] came along I had not considered leaving, that was always somewhere a little ways off on the horizon," Mr. Cohen said. "This incentive, when it came along and I determined it would apply to me to give me 30 years [of state service], that's what really got me thinking about it." The cash-strapped state is offering incentives to court workers and other employees to "boost" their ages to the retirement threshold of 62 or their state service to 30 years in return for their beginning their retirements early without penalty (NYLJ, June 1). Court officials expect more than 10 percent of non-judicial workers to take advantage of the benefit. Mr. Cohen said he wants to provide better care to his parents, who are both in their late 80s, and he probably will return to a solo practice like the one he maintained in Brooklyn in the early 1980s after graduating from New York University School of Law. The Court of Appeals announced that it has designated Andrew W. Klein, who has been one of two consultation clerks since September 1990, to succeed Mr. Cohen. Consultation clerks sit with the judges during their closed-door discussions of cases and advise them on issues of appealability and reviewability. 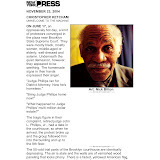 Mr. Klein has also overseen in recent years the preparation of the Court's written rulings for release to the public. Mr. Cohen also attended the judges' conferences. He said he has rarely volunteered a thought to the judges unless they asked him for his opinion or a question of court precedent. Mr. Cohen is only the 17th appointed clerk since the position was established in 1869. Between the formation of the Court in 1846 and 1869, clerks were elected statewide. He said Friday that in addition to "managing" cases before the Court—making sure briefs and other papers were filed or responded to on time—he frequently talks to dissatisfied lawyers or other litigants once decisions appear. "This is not the kind of job where there's really any training for or preparation for," Mr. Cohen said. "The law is a big part of it, but it's not the only part. In a lot of ways, the other parts have been more challenging. There are a million things you don't learn about in law school. You don't learn about renovating a building. You don't learn about dealing with personnel. You don't learn about dealing with angry pro ses who don't understand why they've been unsuccessful in their litigation." Mr. Cohen said that as long as members of the public are not abusive, all who write or call the Court get a response. Mr. Cohen has also presided over the posting of Court of Appeals' rulings on its Web site and the beginning of electronic filing at the Court. The current chief judge, Jonathan Lippman, credited Mr. Cohen in a statement with making the Court "more efficient, transparent and accessible to the public." Joseph Bellacosa, the former Court of Appeals judge who was clerk of the Court from 1975 to 1983, said he was the first clerk invited into the confidential conferences where judges revealed their positions on cases still under consideration by the judges. Mr. Bellacosa said the clerk has evolved in that role into a kind of chief counsel to members of the Court as they deliberate over cases. The clerk is also the staffer on the Court of Appeals that New Yorkers are most apt to have contact with, said Mr. Bellacosa, a judge on the Court from 1987-2000. "The clerk is the face of the Court to the public and to lawyers," Mr. Bellacosa said. Judith S. Kaye, a member of the court from 1983 to 2008 and chief judge from 1993 to 2008, said Mr. Cohen kept the workings of the Court "well oiled" so judges could focus on hearing and deciding cases and not on procedural issues. By being allowed into judges' conferences, Mr. Cohen is "at the elbows" of members of the Court as they deliberate over cases, said Ms. Kaye on Friday. "He is privy to their most private, most serious discussions of the Court," she said. She described Mr. Cohen as the "face of the Court." Joel Stashenko can be reached at jstashenko@alm.com. Professional: Consultation clerk, Court of Appeals, 1990-present; assistant consultation clerk, 1983-90; litigation associate, Whiteman Osterman & Hanna, 1983-84; litigation associate, Whitman & Ransom 1980-83; law clerk, Court of Appeals central legal research staff, 1977-80. Education: B.A., State University of New York at Stony Brook, 1974; J.D., St. John's University School of Law, 1977. Personal: Married with no children, lives in Middleburgh. Professional: clerk of the state Court of Appeals, 1996-present; Deputy clerk, 1987-96; law clerk to former Court of Appeals judge Sol Wachtler, 1985-87; law clerk to former Court of Appeals judge Jacob D. Fuchsberg, 1982-83; appellate law research assistant, Appellate Division, Second Department, 1980-82; solo practitioner, 1979-80. Education: B.A., Connecticut College, 1976; J.D., New York University Law School, 1979. Personal: Divorced with no children, lives in Rensselaer. CLICK HERE TO SEE "Corrupt Ethics Attorney Sherry K. Cohen Departing, Finally"
It pays to have a "clown" for a defense attorney. A convicted carjacker will get a new trial thanks to the big-mouthed Bronx judge who called his lawyer a bozo, an appellate court ruled this week. The panel of appellate judges did not dispute the evidence against Damian Leggett, who attempted to steal a driver's car at gunpoint. But they said Bronx Supreme Court Judge Robert Neary's constant insults of court-appointed defense lawyer Howard Levine deprived Leggett of a fair trial. 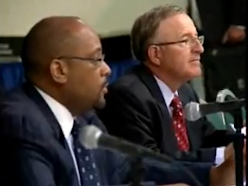 The panel called the way in which Neary denied Levine's objections particularly "egregious." During the prosecutor's summation, the judge snapped at Levine: "Would you behave like a professional, please, and not a clown?" Such criticism should have been made at sidebar, not in front of jurors, the panel wrote. Asked to respond, Neary, a former prosecutor, said "I can't comment on an appellate case. It wouldn't be appropriate." An attorney who hurled "hostile, obscene and derogatory" missives at his wife and professionals involved in their divorce, has been suspended for two years by the Appellate Division, First Department, which rejected a three-year censure requested by court's disciplinary staff. Anthony Chiofalo, the attorney at the center of Matter of Chiofalo, M-3073, married in 1990. His wife, with whom he had two sons, filed for divorce in 2005. The case apparently has not been resolved, according to the decision. During the course of the divorce, Mr. Chiofalo, against the advice of his own attorney, sent written messages that the court said were "riddled with profanities (primarily of a scatological and sexual nature)," to his wife, her lawyers, his sons' law guardian and the law clerk assigned to his divorce case. At one point, Mr. Chiofalo "threatened to cut off one attorney's pinkie and send it to his wife," the court said. 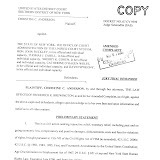 He also questioned, without basis, the integrity of the judge handling the case and accused his wife's attorney of dishonesty and exploitation of the couple's children in order to obtain excessive fees.The panel noted that Mr. Chiofalo had pleaded guilty in the Bronx Criminal Court to a disorderly conduct violation based on his contacting his wife and children in violation of an order of protection. While acting as his own lawyer, he also filed a federal lawsuit in California where he had been living, against 29 defendants, including his wife, her attorneys, a judge and three supervising judges and the American Bar Association, claiming his civil rights had been violated.The First Department disciplinary committee brought two charges against Mr. Chiofalo related to the conduct related to his remarks and two related to the allegedly frivolous federal lawsuit. Mr. Chiofalo, 49, conceded two disciplinary charges stemming from his vituperative correspondence, but contested two charges arising from his filing of the lawsuit in California. He claimed that his actions had been the product of "stress over his divorce and financial situation," and that his behavior did not harm any clients. He asked that he receive at most a six-month suspension. The referee before whom the hearing was conducted upheld the two charges related to the lawsuit. The First Department panel upheld the ruling, finding Mr. Chiofalo had "effectively conceded" that the suit was frivolous, seeking to draw attention to "issues of parental alienation issue" rather than seeking relief a court could award. The referee recommended a one-year suspension. One of the disciplinary committee's hearing panels upheld the referee' findings as to the charges but bumped the penalty up to a two-year suspension. The legal staff of the First Department 80-member disciplinary committee, with the approval of its chairman, Roy L. Reardon, a partner at Simpson Thacher & Bartlett, asked the court to increase the suspension to three years. In rebuffing the staff request for a longer censure, the panel found the request "appears" to be out of line with the court's prior rulings. In that regard, the court said that Mr. Chiofalo's conduct was "not as serious" as that reported in its 1994 ruling in Matter of Israel, 205 AD2d 101, where an attorney had been given a three-year suspension in circumstances that were more "serious" than Mr. Chiofalo's. The attorney in the Israel case had made three motions designed solely to harass his client, lied under oath, frustrated a judgment against him, neglected or mishandled several other client matters and lacked contrition, the panel noted. But the panel also rejected Mr. Chiofalo's plea for leniency, noting that "while divorce proceedings can certainly be distressing, especially when children are involved, they do not excuse long-term spiteful actions." As to his claims that no clients were harmed, the court said the individuals he named as defendants in the federal lawsuit were "victims of his misconduct." Mr. Chiofalo started his legal career after graduating from Fordham University School of Law practicing corporate law in both law firm and in-house settings. More recently he has been hired as a contract lawyer on various projects. Currently, he has advised the court according to the opinion, that his work has been "paralegal in nature." Mr. Chiofalo's lawyer, Michael A. Gentile, said, "The decision is certainly consistent with the court's having reflected carefully upon the case." Serving on the First Department panel were Justices Angela M. Mazzarelli, Karla Moskowitz, Rolando T. Acosta, Helen E. Freedman and Rosalyn H. Richter. Mady J. Edelstein handled the matter for the Departmental Disciplinary Committee. 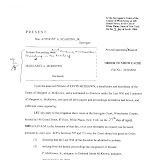 Plaintiff Kevin McKeown, pro se, respectfully moves this day, September 11, 2010, for an order reopening the above captioned matter based upon new facts, a fraud upon this Honorable Court and pursuant to F.R.C.P. 60 (b) and (d)(3), inter alia. 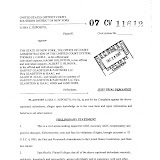 As this Honorable Court is aware, this case concerns $140,000.00 stolen from American Red Cross 9/11 donation money- still unpaid; What this court has not known, until now, is that the defendants have defrauded this court as they have knowingly acted without required jurisdiction, inter alia, thus void of any immunity. 1. 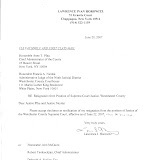 The operative 1st Amended Complaint was filed on May 12, 2008 (Attached hereto as EXHIBIT “A”) On August 8, 2008, this Honorable Court dismissed the action (EXHIBIT “B”). 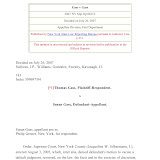 On May 12, 2009, this Honorable Court found that the Court had no jurisdiction since the matter was on appeal; the appeal was only finalized on August 12, 2010 (See attached 08cv2391 Docket Sheet EXHIBIT “C”). All filings in this application are respectfully herein incorporated as if fully annexed. As this Honorable Court has only again had jurisdiction less than 30 days, the herein request is timely and, in the interest of justice, must be granted. VOID under New York State law. And since they acted without jurisdiction, they cannot by law assert any type of immunity. 3. The defendants were aware that as a matter of New York State law, all proceedings had been stayed since November 4, 2003 when a party interested in the underlying proceeding committed suicide. 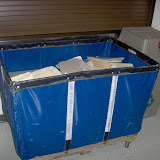 Defendant attorneys Patricia Bave-Planell, Frank Streng, Robert Korren and Joseph McQuade, among others, have knowingly failed to file the only Motion that could ever be filed or accepted: a required on-notice substitution of party papers. (Weber v Bellinger, 124 AD2d 1009). It is uncontested that the required substitution has never been filed. The New York State law is simple: without party substitution upon the death of an interested party, there is no jurisdiction. Accordingly, Immunity of any kind does not apply in this matter. All attorneys and State actors had an ethical obligation to advise this Court. 4. Even the state defendants, and their attorneys, have ignored their own obligation to follow state law and to report or take action against those who were violating state laws and attorney ethical codes and, further, who were improperly acting without jurisdiction. 5. This Court must look very dimly upon the attorneys in this action who have failed to bring to this Honorable Court’s attention the fact that laws and ethical codes of conduct had been violated by attorneys and state actors in this very proceeding. All attorneys were aware that the state law has always been clear regarding the lack of jurisdiction upon the death of an interested party. But these attorneys advanced known void rulings to this Court, or fraudulently asserted immunity claims when such protection had been stripped by the lack of jurisdiction. 6. As alleged in the 1st Amended Complaint, and as accepted as true in the Court’s August 8, 2008 dated order of dismissal, a wide-range cover-up was put in place to hide the improper filings of attorney Frank Streng- a publicly advertised friend, supporter and insider of the judge who accept his improper filings and who himself would subsequently make rulings without jurisdiction. 7. It is well-settled law that the lack of the proper substitution of a party in an action renders all subsequent orders null and void as the court lacks jurisdiction (see, Bossert v Ford Motor Co., 140 AD2d 480; Silvagnoli v Consolidated Edison Employees Mut. Aid Socy., 112 AD2d 819) None of the state actors had jurisdiction since November 4, 2003. Each and every order since November 4, 2003 is VOID as a matter of law (see, Byrd v Johnson, 67 AD2d 992). The defendants’, and their attorneys’, knowing failure to act without jurisdiction is the essence of the denial of due process. And their silence of the violations of the known laws are a fraud. 8. I have no other remedy of law. My filings to: state administrative judges; all higher state courts; all court, attorney and judicial ethical bodies have only resulted in retaliation and threats against me. 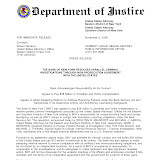 Meanwhile, not one entity, including the New York State Attorney General’s Office, has disputed the lack of jurisdiction since November 4, 2003. The collective silence by the defendants, state actors and attorneys on what I now know as basic New York State Required Party-Substitution law begs this Court’s immediate action. 9. The state actors improperly continued proceedings with the full knowledge that as a matter of law all proceedings were stayed upon the death of an interested party- all in complete violation of my rights concerning due process. (Brown v Konczeski, 242 A.D.2d 847; CPLR 1015, 1021). 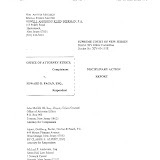 Indeed, the attorneys involved have never disputed their collective failure to file On-Notice Substitution of Party papers since all matters were stayed, by law, on November 4, 2003. Notably, not one defendant disputes that all matters have been stayed since November 4, 2003, and by operation of well-settled state law. 10. If the 1st Amended Complaint is taken as true, then the thereto-annexed timeline of the illegal court filings confirms the lack of the required party-substitution submission. While I am not an attorney and did not know this law when I filed my complaint, surely the defendants were aware of the state law requiring party substitution. 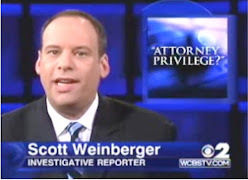 Indeed, the involved attorneys (who financially benefited from the fraud), court clerks (who were friends of the attorney who filed the fraudulent assignment) and the Surrogate Judge (who would later recuse himself because of his admitted and advertised closeness with the attorney who filed the fraudulent assignment)-- were aware of the state law requiring party substitution. 11. 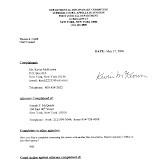 Ronald P. McKeown, Jr., purportedly executed an “Assignment of Share in Estate” and an “Affidavit Re Assignment of Share in Estate” (hereinafter collectively as the “ASSIGNMENT”), dated October 30, 2003, with knowledge that its purpose was to defraud creditors of the assignor, the IRS, the State of Texas, to advance a deception upon the Surrogate’s court, and violate various state laws of New York and Connecticut. 12. 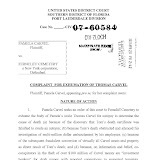 In is uncontested that within days after Ronald’s death on November 4, 2003, Frank W. Streng, Esq., attorney of record for Ronald, presented the purported assignment for filing in the Surrogate’s Court. 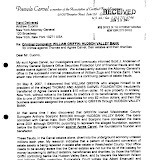 In Addition, Mr. Streng subsequently filed his own attorney affidavits in the Surrogate’s Court referencing and relying upon that fraudulent assignment. 13. Irrefutable evidence exists of collusion between the state actors, state agencies, and certain “influential” lawyers who sought to improperly profit at my expense, and who have damaged me and violated various federally protected rights. The lawyers against whom damages are sought had numerous ethical complaints filed, all of which asserted similar violations of the mandatory disciplinary regulations. But they were protected by Corrupt NYS Attorney Ethics bodies. 14. Testimony before this Honorable Court in Anderson, began the process of unmasking State employees, and others, who have improperly acted under the color of law. Without a fair and objective trial in U.S. District Court of the substantive Constitutional and Civil Rights issues, including demonstration of offenses with the evidence, systemic State corruption becomes Law of the Land, superior to all Constitutionally guaranteed rights and contrary to all U.S. Codes. 15. The actions of the defendants violate my equal rights and other guaranteed rights that are explicitly protected by the U.S. Constitution and U.S. laws cited in the complaint and herein. Such violations are federal questions correctly before this U.S. District Court. The Eleventh Amendment no longer applies as the new fact of action by state actors without jurisdiction is now known to this Honorable Court. 16. I respectfully requesting that in addition to re-opening the instant case, that the Honorable Court sua sponte appoint a federal monitor to oversee the day-to-day operations of the New York State Attorney and Judicial Ethics bodies for an indefinite period of time. 18. 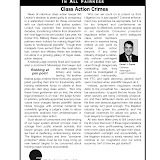 Taking all the allegations in plaintiff's Amended Complaint as true, plaintiff has properly alleged that the individual defendants acted in numerous instances to deprive plaintiff of his constitutional rights to due process, equal protection of the law, and other constitutional violations. Because these individual defendants are state actors, and have blatantly used “the badge[s] of their authority to deprive [plaintiff] of [his] federally guaranteed rights” under the United States Constitution, § 1983 is the vehicle by which plaintiff may seek and obtain his much-needed relief. Wyatt, 504 U.S. at 161. Because § 1983 is a federal statute, this Court has jurisdiction to adjudicate plaintiff's claims. And because it is now known that the state actors knowingly acted without jurisdiction, this case is now ripe for immediate discovery and trial. 19. Indeed, just like this federal court, the courts of New York State (including the DDC) are entrusted with the responsibility of adjudicating the merits of cases without self-dealing, corruption, and illegality. 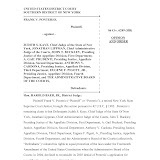 However, plaintiff’s complaint states that such courts have not so performed their duties; rather, plaintiff's complaint alleges numerous acts of corruption, illegal activity, and obstruction of justice in the operation of the courts of New York State. Given that the allegations in plaintiff’s complaint are taken as true, plaintiff’s allegations state legitimate claims for relief, and ones now known to have been void of any immunity. 20. Indeed, because this Court has already stated that the DDC is “an arm” of the NY State Courts, and is “the court” itself, plaintiff maintains that he merely requested an unbiased, fair and honest court system to adjudicate his claims. 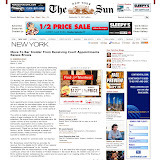 Simply put, plaintiff simply requested that the courts of New York State honestly do their job. Plaintiff has alleged that he was deprived of this very basic right, which necessarily deprived him of his right to due process of law, a free and fair court system, and the right to petition his government. These constitutional violations demand federal redress, and plainly provide this Court with federal jurisdiction. 21. The United States Constitution does permit this Court to review the decisions of the EMPLOYEES of New York State (and other lawyers). The Supreme Court found in Jett v. Dallas Independent School_District (491 U.S. 701 (1989)), that 42 U.S.C. §1981 by its terms prohibits private discrimination as well as discrimination under color of state law. The Court considered whether §1981 created a private right of action to enforce that prohibition against state actors. The Court concluded that, “the express cause of action for damages created by §1983 constitutes the exclusive federal remedy for violation of the rights guaranteed in §1981 by state governmental units.” (Id. at 720-721, 733). 22. “A plaintiff may sue a state official acting in his official capacity - notwithstanding the Eleventh Amendment - for prospective, injunctive relief from violations of federal law.” (Opinion and Order, p36). And as now known, the Eleventh Amendment does not apply here. 24. Further in Scheuer v Rhodes, the Court noted "If the immunity is qualified, [416 U.S. 232, 243] not absolute, the scope of that immunity will necessarily be related to facts as yet not established either by affidavits, admissions, or a trial record. Final resolution of this question must take into account the functions and responsibilities of these particular defendants in their capacities as officers of the state government, as well as the purposes of 42 U.S.C. 1983". Now known is the fact that even qualified immunity cannot now be asserted as jurisdiction had been stripped. 25. “[G]overnment officials performing discretionary functions generally are shielded from liability for civil damages insofar as their conduct does not violate clearly established statutory or constitutional rights of which a reasonable person would have known.” (Harlow v. Fitzgerald (1982) 457 U.S. 800, 818 [73 L.Ed.2d 396, 410]). Here, state actors knew they lacked jurisdiction. 26. I assert violations of civil rights and other rights of which so-called “legal professionals” “would have known”. The state actors and the “legal professionals” also should have known that their jurisdiction had been stayed upon the death of an interested party. I also asserted evidence to demonstrate that such violations of guaranteed rights are planned, intentional, and organized for profit to the chosen few who are lawyers and officials benefiting at my expense. I also assert that discovery would further verify the civil and criminal allegations made by me are already confirmed as plausible. 27. Title 42 U.S.C. §1988 in relevant part confers on the district courts “protection of all person in the United States in their civil rights, and for their vindication, shall be exercised and enforced in conformity with the laws of the United States, so far as such laws are suitable to carry the same into effect; but in all cases where they are not adapted to the object, or are deficient in the provisions necessary to furnish suitable remedies and punish offenses against law, the common law, as modified and changed by the constitution and statutes of the State wherein the court having jurisdiction of such civil or criminal cause is held, so far as the same is not inconsistent with the Constitution and laws of the United States, shall be extended to and govern the said courts in the trial and disposition of the cause” (emphasis added). 28. This Court was not asked to review State of New York court decisions. The acts, without jurisdiction, of State employees were described to demonstrate such actions resulted in the conspiracy against my rights. Title 42 U.S.C. §1985 (2) applies to obstructing justice; intimidating a party, or witness if “two or more persons in any State … conspire for the purpose of impeding, hindering, obstructing, or defeating, in any manner, the due course of justice in any State”. 29. In Zahrey v. City of New York, (No. 98 Civ. 4546(LAP), 1999), on a motion to dismiss, the District Court dismissed the claims against defendant Coffey on the ground of qualified immunity. Without determining whether a prosecutor's fabrication of evidence violated a constitutional right, this Court ruled that Coffey was entitled to qualified immunity because "the law was not `clearly established' in 1996 that a prosecutor's fabrication of evidence violated a person's constitutional rights." 32. There are not State proceedings dealing with the issues raised in Plaintiff’s complaint, or with these Defendants; the relief sought (injunctive relief against the state and money damages against individuals) has not been sought in State courts. This District Court has not been asked to change any State decisions. 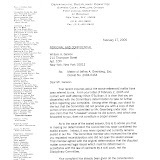 Plaintiff’s complaint does not concern actions properly “judicial in nature” since Plaintiff asserts lack of Eleventh Amendment Immunity and the fact that acts by individuals beyond the legal limits of their official positions occurred, thereby harming Plaintiff by deprivation of substantive and material guaranteed rights under U.S. laws. 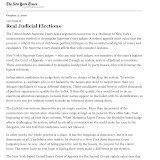 (a) First: The case must be brought in District Court by a party that has already lost in state court. (c) Third: A final judgment on the state court proceeding must have already been rendered before the federal action is brought. This does not apply here. (d) Fourth: The federal case must invite review and rejection of the state law claim; if the claims are not identical, the Federal claim must be inextricably intertwined with the state law claim, so as to implicate common facts pertaining to the same transaction or occurrence. (District of Columbia Court of Anneals v. Feldman, 460 U.S. 462,483 n. 16 (1983)). This does not apply to my case. Since official corruption causing deprivation of civil rights was not part of any State proceeding, there was no previous injury from judgment since there was no final State court judgment, therefore Rooker-Feldman does not apply. 34. I asserts widespread and systemic corruption by State employees acting in violation of their oaths of office and without jurisdiction. I believe that such abuses of official positions should be immediately stopped by injunctive relief and by appointing a Federal Monitor. 35. Three tests determine if a would-be plaintiff has standing: the litigant must show: (a) that he has suffered personally some actual or threatened injury; (b) that the injury must be fairly traceable to the alleged illegal conduct of the defendant, and (c) that the injury must likely be redressed by a favorable decision. (Valley Forge Christian College v. Americans United for Separation of Church and State, 454 U.S. 464, 472 (1982)). Causation and redressability are required (Simon v. Eastern Ky. Welfare Rights Org., 426 U.S. 26, 38, 41-43 (1976)). The Supreme Court has referred to the “injury-in fact” standard as the “irreducible minimum” required by the Constitution. 36. My complaint presented substantive facts without “bald assertions”. Such facts, must be taken as true (Opinion and Order, p.30). The revelations of organized and systemic corruption substantiates the statements that might have been otherwise labeled implausible. The now-known lack of jurisdiction confirms the planned, improper and damaging actions by the defendants against me. Discovery will further substantiate the preliminary facts asserted. I made statements of fact and attempted to provide enough details (pursuant to Rules 8, 9, and 12) to demonstrate that the claims were not speculative and should not be summarily dismissed sua sponte without discovery. 37. I have state and federal constitutional rights of, inter alai, due process, which has been undisputedly denied me, and which begs this courts intervention. 38. Finally, and also new to this Honorable Court, are the words of the Honorable Joseph W. Bellacosa, former Judge of the New York State Court of Appeals and Chief Administrative Judge of the New York State Court System (Attached hereto as EXHIBIT “F”) . 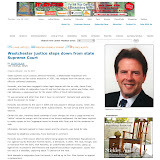 Judge Bellacosa asks, “Quis custodiet ipsos custodes?” (Who will watch the watchdogs?”) Briefly, Judge Bellacosa speaks directly to the need of this Court to take immediate and substantive action regarding the federal violations of law by New York State actors, and as herein complained of by plaintiff. 39. 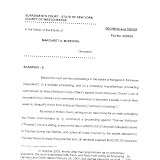 WHEREFORE, based on the facts, new information, fraud upon this court and the decisions cited above, plaintiff respectfully requests that this Honorable Court: grant the requested motion, REOPEN the instant 08cv2391 case, direct the Clerk of the Court to return the case to active status, and appoint a federal monitor to review the herein allegations and any and all such asserted allegations by those similarly situated. 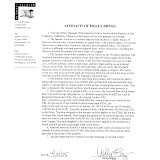 The undersigned declares under penalty of perjury that he is the plaintiff in the above action, that he has read the above and that the information contained therein is true and correct, 28 U.S.C. § 1746; 18 U.S.C § 1621.